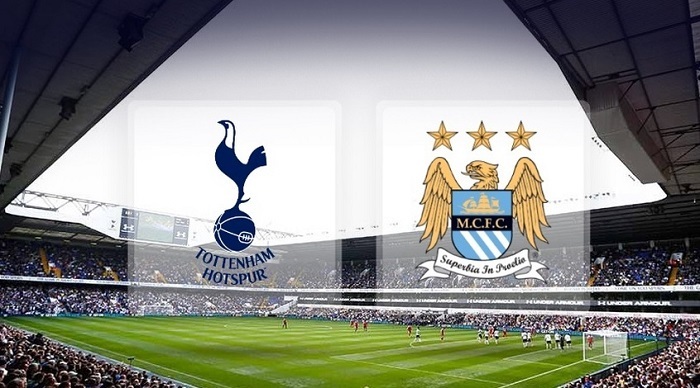 Tottenham vs Manchester City predictions ahead of Monday night’s EPL clash. Our experts have already made up their personal review and prediction. Tottenham Hotspur managed to take the 3rd spot in the past Premier League season, and their game left only positive impressions. The Spurs also perform well during this season. The team is now the 4th in the English championship standings, and it’s only two points behind the leading Manchester City. Indeed, this fact puts a real crimp in the upcoming battle. In case of Tottenham win, they would be a leader of the Premier League table. What concerns their current performance, Pochettino’s men have a powerful attack and score a lot, and at the same time act confidently in the defense. Predictions for the forthcoming battle are not in favor of the hosts. However, Londoners have repeatedly proved they can compete as equals and take away points from the opponent. All fans of English football are well aware that it was Manchester City that became a champion of the last Premier League. Based on their current season results, they don’t intend to slow down after their previous triumph. As we have already mentioned, it is Guardiola’s squad that is now leading the EPL with 23 points after 9 matches played. Their main weapon is a magnificent attack: the team almost never leaves the field without goals scored, and 26 goals in 9 battles confirm that once again. It is clear that Manchester City are now in excellent shape and logically considered the favorite in the next duel. However, they have certain staff losses and the match itself would be played away. Tottenham Hotspur: Lloris, Trippier, Alderweireld, Sanchez, Davies, Dembele, Dier, Moura, Eriksen, Son, Kane. Manchester City: Ederson, Otamendi, Zinchenko, Laporte, Mendy, De Bruyne, Fernandinho, Silva, Sterling, Jesus, Mahrez. Manchester City show powerful attacking skills and almost never leave the field without scoring a goal. Tottenham are also pretty strong in attack. Herewith, their defense possibilities are really good. However, the Spurs recently had a grueling match with PSV (2:2) and they probably won’t be in the excellent shape. This bet paid off in their last four head-to-head meetings. We certainly await one of the most spectacular clashes within the current English Premier League. It should be a really interesting game with a great number of goals scored. Like our free prediction? More bets with detailed explanation you can find in the appropriate section of our sports portal!